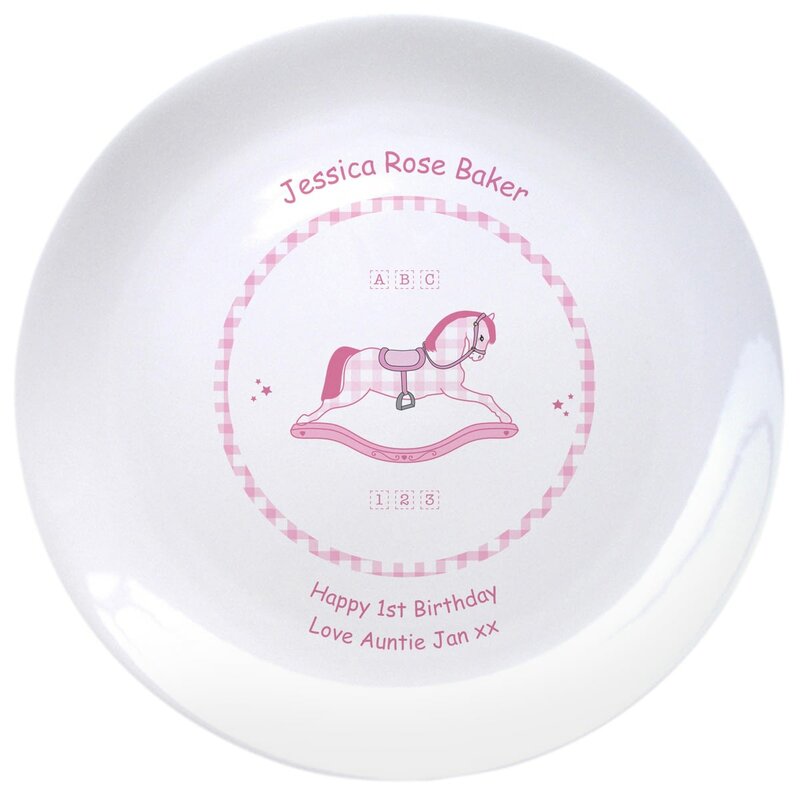 Your message for the little one is included next to the design, and her name is also incorporated onto the plate ensuring this is a gift that can be cherished long after the little one has grown up, and will take pride of place on the mantle of her home. Kiln fired, this bespoke plate is dishwasher safe. This loving cup decorated with an adorable pink rocking horse making it a perfect gift to mark a little girl's birth. A loving cup decorated with a traditional nativity scene makes a perfect gift for a little ones first Christmas.